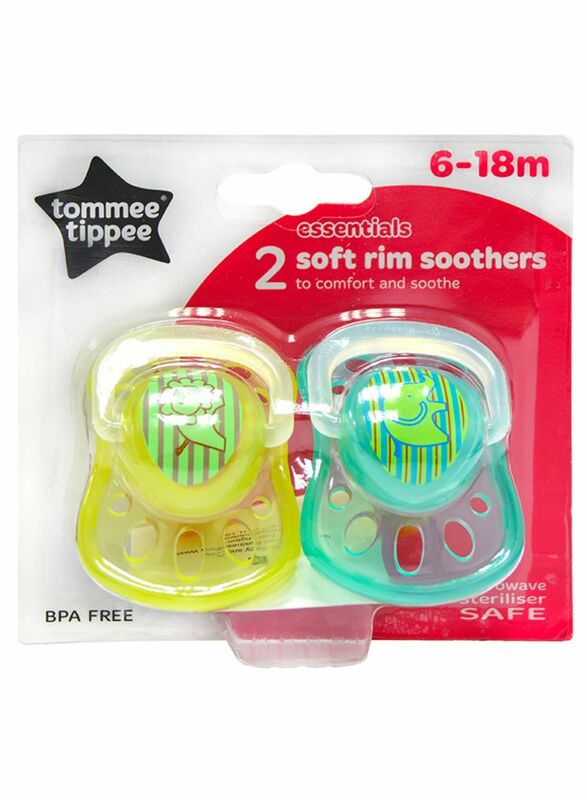 Tommee Tippee set of 2 essentials soft rim soother have a soft outer rim to cushion baby’s face perfect for little ones with sensitive skin. What’s more, the reversible orthodontic baglet helps protect your baby’s oral health. The soft rim soother is designed for babies between 6 and 18 months.